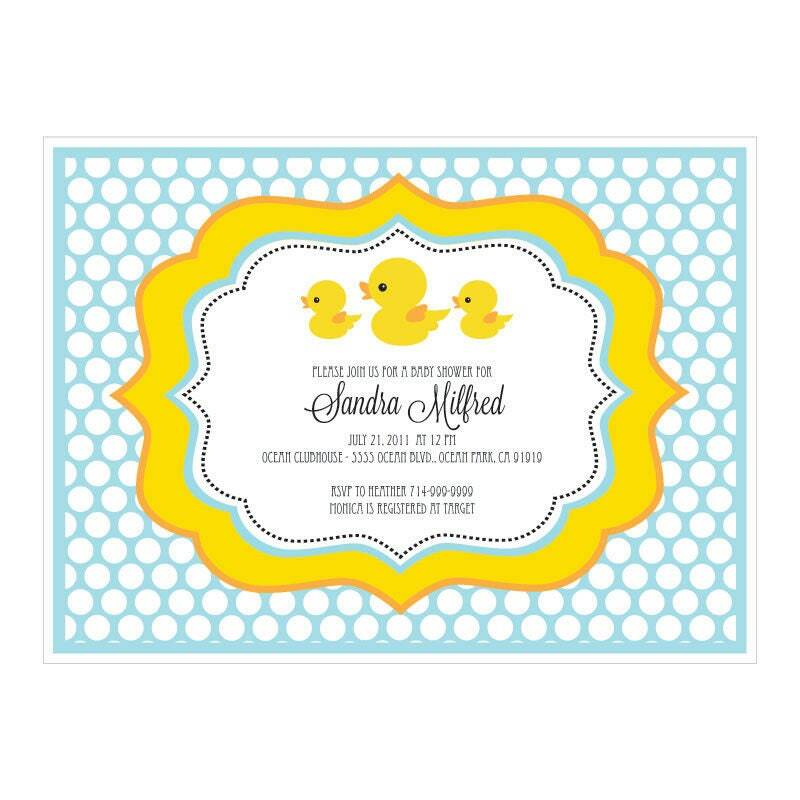 Invite you friends to comes celebrate your new bundle of joy with these Rubber Ducky Invitations. Each invitation comes in pale hues of blue, tangerine and lemon. 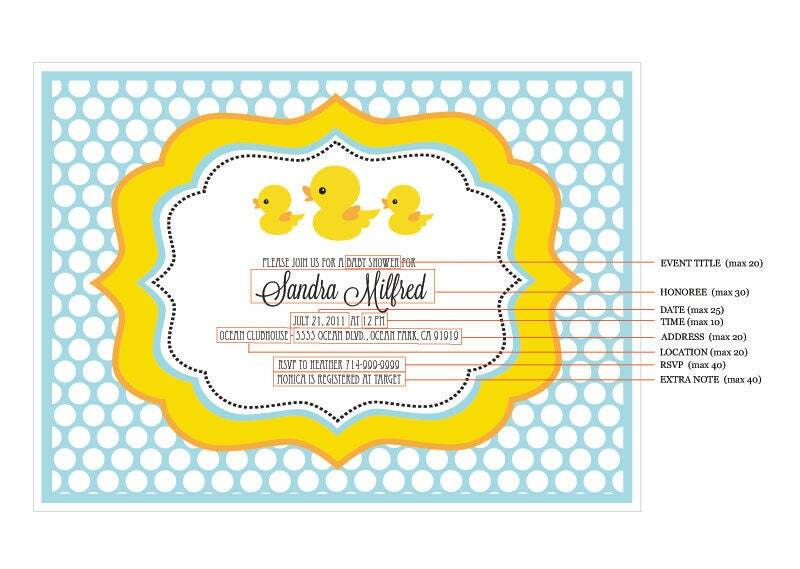 Customize your invitation with personalized text just for your baby shower. Above your personalized text is a sweet rubber ducky design. Invitations include plain white envelopes. Invitation Size: 4.6" x 6.25"